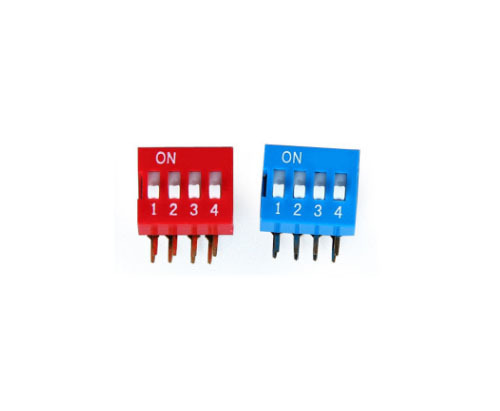 Product categories of Dip Switch, we are specialized manufacturers from China, Dip Switch, Position Dip Switch suppliers/factory, wholesale high-quality products of Rotary Dip Switch R & D and manufacturing, we have the perfect after-sales service and technical support. Look forward to your cooperation! Dial the code Switch (also called Dip Switch, Toggle Switch, switch overclocking, address switch, move the switch, digital switches, DIP switches) is a used to control the address of the switch operation, USES a binary encoding principle of 0/1. FBELE's switches can be widely used in IOT applications, such as cloud device, smart home, automotive, white goods, health care products, industry, security telecommunication-, etc. Today, FBELE switches account for about 35% of global notebook market switch demand. In line with market expectation, FBELE is one of a few companies in the industry that has in-house assembly line for both LED bonding and LED switches. welcome customer from all over world contact us immediately for order! !